Our tours of Iraq are amongst some of our most popular tours. As with anything that gathers interest, it also generate a lot of questions, first and foremost being : “What!? You can go to Iraq!?”. Obviously, since we run tours there, this question is answered already, but here are some answers to some of the questions we get the most. Since we heard for years that war was raging in Iraq, many people think that Iraq is very unsafe. However, like we often say: There are no dangerous countries, there are dangerous places or dangerous times. In this case, for Iraq, it was a dangerous time until very recently. However, things have changed drastically with the fall of ISIS and Iraq is now timidly opening back to tourism. During our time in Iraq, we have never even remotely felt unsafe. In fact, there is a strong military presence everywhere, especially in Baghdad and so many checkpoints that we would never believe any terrorist could slip in. While we cannot feel the war while we’re there, you can’t really forget about it, with all the armored vehicles and machine guns everywhere. 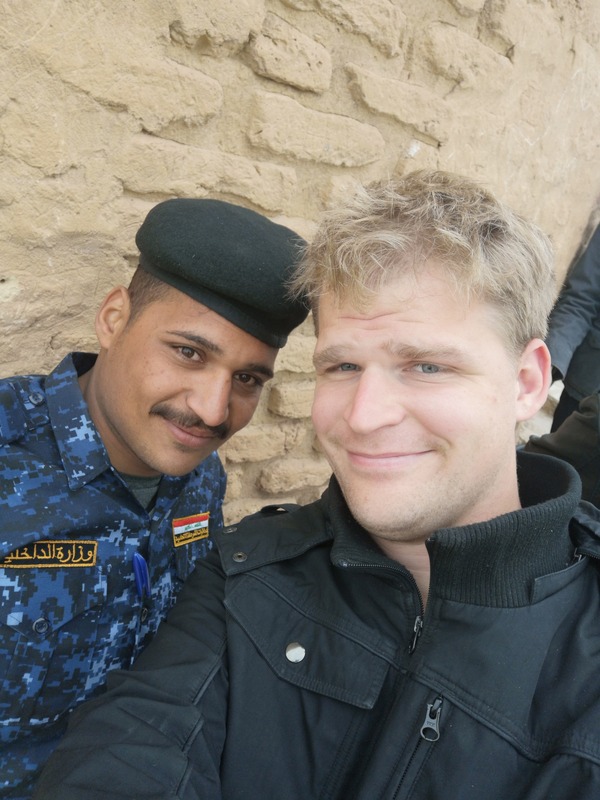 People in Iraq are, for the most part, very kind and extremely hospitable. They are definitely very happy to meet people from abroad and be able to discuss with them after years of isolation. As such, it is perfectly fine for us to walk in the streets or have tea in one of Iraq’s extremely interesting cafes. Those who have been to both Afghanistan and Iraq say that Iraq feels much safer and much more relaxed than Afghanistan at the time being. Yes! Since we have a lot of people who have come with us to the DPRK, it seems like a lot of people expect Iraq to be rigidly controlled. It isn’t. Iraq feels more relaxed photo-wise than many countries in Africa. It is totally ok to take photos of most things and, once you’ve asked for permission or at least smiled, of most people. Women might feel less comfortable if men take photos of them but it is mostly cultural. The only two no-nos, and it is the same in so many countries in the world, is photos of the military and within mosques. Soldiers will stop you from taking their photos and taking photos of checkpoints might bring a lot of unwanted scrutiny. It is not something that will get you in prison but might stop you for a while. But even then, your mileage may vary and asking first is the key! As for mosques, Iraqis are extremely religious and being on your best behavior when visiting them is paramount in order not to offend our hosts. How much is left of Saddam Hussein’s influence? At YPT, you know that we are partial to a bit of dictator-geekness, so it is common that our tour members also are. So many people often ask us what parts of Saddam’s Iraq can still be found. The current leaders of Iraq are the ones Saddam tried to suppress. As such, they are not too keen on the man or preserving is legacy. It is becoming increasingly hard to find mementos of Saddam days. 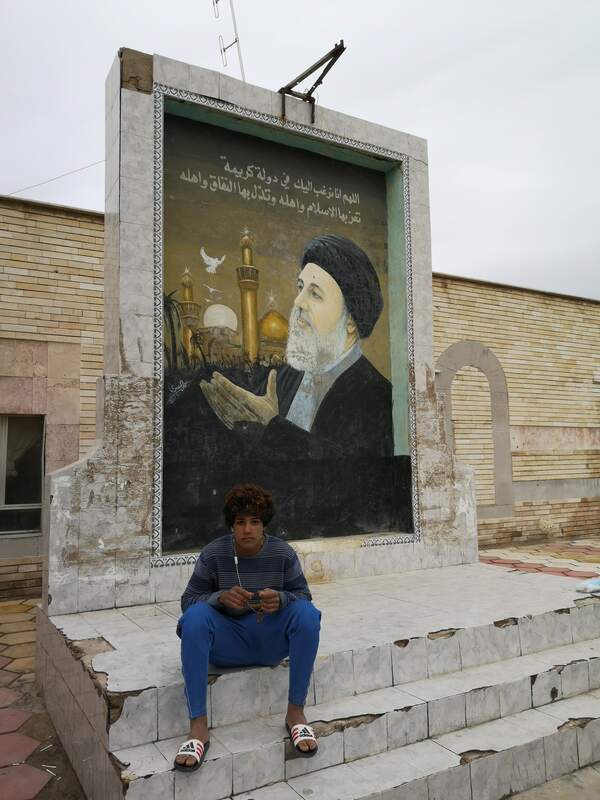 More often than not, his humongous portraits have been plastered with a portrait of Imam Ali and statues have been destroyed. It’s getting worse every year, so now it the time to visit if you want to see traces of this important part of history. If you know where to look however, you’ll find very interesting pieces. For example, you can still find old currency with Saddam’s face on it. The gun of one of our guides in Kurdistan his signature on it. 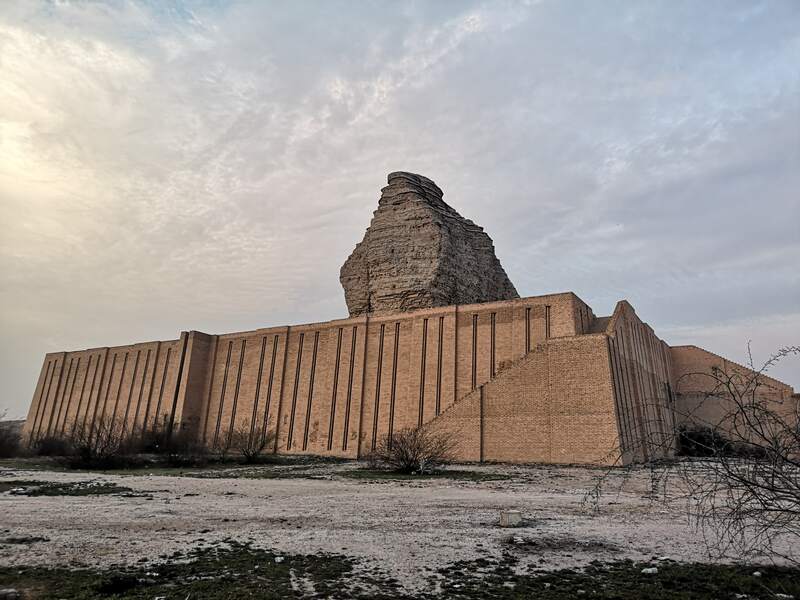 In Babylon, you can still visit his abandoned palace and in Basra, you can see another of his huge complex, now turned into a militia base, by boat. It sure helps to know a few locals who are in the know. The most interesting artefact of Saddam’s time, surely, is the people’s memories of that era. Most people in Iraq are not afraid of speaking of the old days and you might be surprised about what they think, especially when compared with the current times! Portrait of Saddam such as this one are harder and harder to come by! What can you see in Iraq? After the war and the coverage of it by the media, it is not surprising that some people might think that there is nothing to see in Iraq except wastelands and desperation. Nothing could be farther from the truth! As Iraq is one of the world’s most ancient countries, it is covered with ancient sites and also important historic sites of Islam. You’ll find the minaret of Samarra untouched by the war, same as the ruins of Babylon. The holy cities of Iraq have mosques that are proudly standing, with their insides flaring from all the gold and mirrors decorating them. Near Basra, you can take a breathtaking boat ride through the marshes, seeing intriguing fauna and people who live there, completely off the grid. However, one saddening thing is that most of this sites are not well maintained these days. 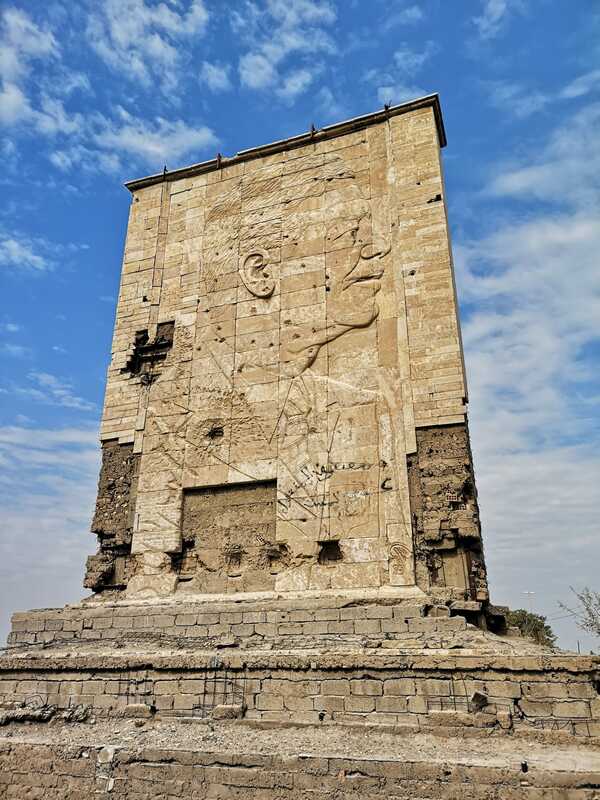 One can say many things against Saddam Hussein but historic sites were much better maintained back in his days and we hope this becomes a priority of the government before dereliction takes his toll. 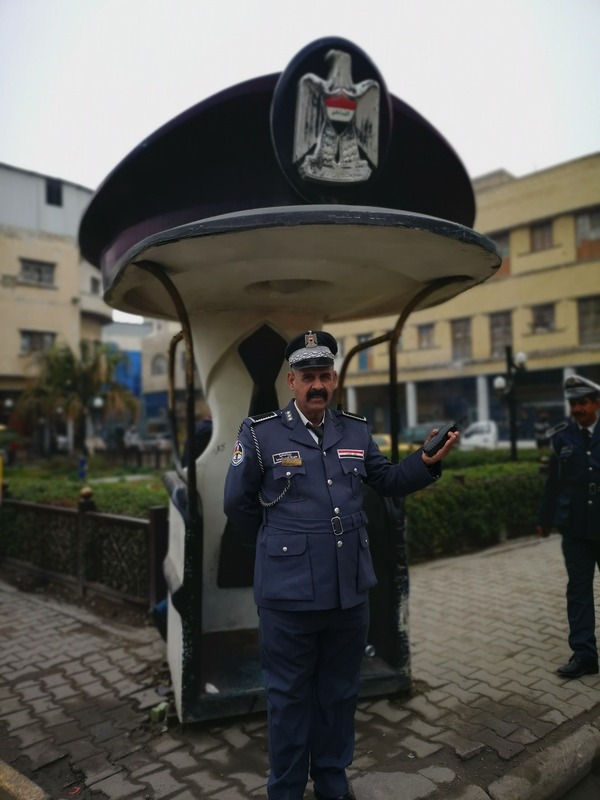 If it’s entertainment that you wish for, many cities of Iraq have running theme parks where you can go and enjoy the rides for a few dollars, the experience is unreal and really shows that the people of Iraq, after so much grief, just want to have fun. Can you drink in Iraq? Speaking of entertainment, what’s the drinking situation in Iraq? Is it a dry country like Saudi Arabia or Mauritania? The answer, contrary to the four previous ones, is a bit of a ambiguous one. Alcohol hasn’t been banned in Iraq. 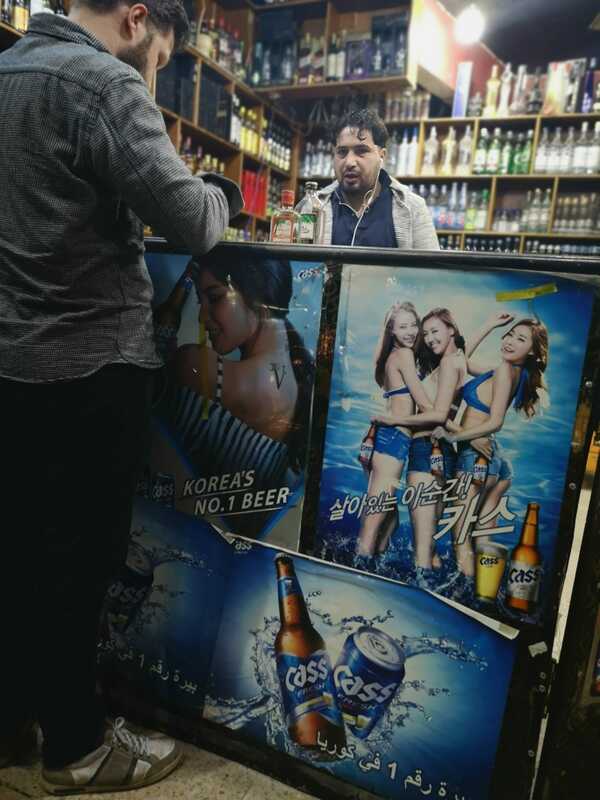 In fact, there are some bottle shops in Baghdad and some bars in the nicer hotels. There is even an Iraqi brand of beer (it’s really not that bad!). However, it is not something the predominantly muslim population and leadership is approving of. Also, it is important to know that Iraq isn’t very centralized anymore and that lots of religious militias have their say in the gestion of the other cities outside of Baghdad. As such, alcohol is pretty much banned outside of Baghdad or, at the very least, very frowned upon. That doesn’t mean you won’t happen to stumble on a smuggler here and there or people who confess have a sip of Airaq here and then! We could write thousands of articles answering questions about Iraq but the best way to get answers, surely, is to visit it! Join us on one of our tours!